“If your plans don’t include mobile, your plans are not finished” – Wendy Clark, Ex-President, Coca-Cola. Gone are the days when mobiles were more of an executive toy than a business tool. Today, the mobile world, especially for enterprises, is moving into a revolutionary phase. But, why are smartphones changing the way businesses operate? How can it revolutionize your logistics and vehicle route planning operations? Mobiles give you an unmatched level of connectivity between you and your driver or sales team. They just need to download an app on their mobile to communicate with the office. They can even communicate while on the move. A greater range of services delivered. This also helps you spot and resolve issues with increased efficiency. Some companies have seen improved operations due to better and faster communication via mobiles. One such company is Carlton & United Breweries. This company uses a mobile app to leverage smartphones to improve the workflow. They also use it to enable transfer of information between the office and the field employees. “These tools have helped us with real-time delivery information. Our mobile solutions tell us exactly where our trucks are in transit, and whether we need to make any adjustments. Implementing mobile computing gives us the flexibility to manage and optimize throughout the day.” said Garry Smith, program manager, supply, at Carlton & United Breweries. Even when a driver is on the go, a mobile can help him or her communicate or follow instructions. That is because smartphones provide easy access to the internet. This is crucial because, when they are on the move, they can only access the internet via mobile. It is their only option for internet access, if they need to update data. As per Goya Foods, a food company in Secaucus, New Jersey, it’s a lot better than non-mobile methods. Their employees used to take orders on paper, and then contact the call center to input the data into the system. Now, the salespeople can transmit the orders on their own, as long as there is internet access. “Outside the distribution center, mobile computing gives us the opportunity to visit customers, then record and transmit orders wirelessly through the available cell phone network to our host system for processing,” notes Luis Ramos, Goya’s general manager. Also, Huthwaite conducted a survey on using smartphones. Most of the respondents said that smartphones gave their sales reps a competitive advantage. This is because smartphones help your sales reps respond quickly to your customers’ queries. They also provide them with instant access to a customer’s data. Moreover, smartphones help them stay in touch with the office, customers, and other team members. Share or upload files and make changes while on the move. Monitor inventory while on the move. Get access to the entire address book at your fingertips. Routes do not remain the same for years (sometimes even during the same day with road construction) and can change when new roads appear. This could cause GPS devices to provide inaccurate routes. To avoid this, you regularly need to update your GPS which is time-consuming and can cost a lot. Also, GPS devices don’t work well in areas surrounded by high-rise buildings. So, your drivers can also get lost in the middle of downtown because of a bad signal. 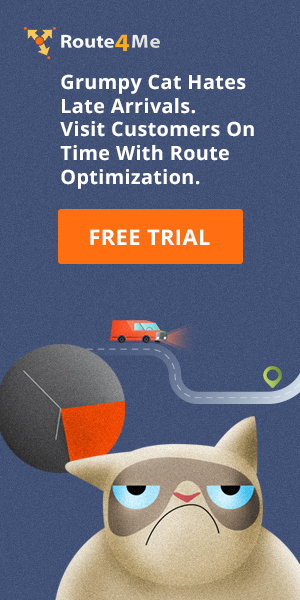 But, if you opt for mobile-enabled route optimization software, you never need to worry about that again. Mobile-enabled routing optimization software automatically updates any road changes which is also good for time management. Your drivers won’t need to circle around the same area when they’re lost. Which can happen with GPS devices, if they visit the wrong or old location, and can delay deliveries. Smartphones will also help your drivers focus more on driving safely and less on driving through wrong areas. This is because your drivers will have route optimization software installed on their phones. They will thus always know where they are going. The best part is that even if your drivers don’t have internet access, they can still follow the route. They will already have a travel log on their phone which indicates what has been planned. So, they will still be able to figure out which routes to cover. Before smartphones, you either had to rely on your memory or calling the office to ask for help. And, this costs extra driving time and wastes time. But, the advent of the fleet route planning software nullified such occurrences. With vehicle route planning apps, you don’t need to buy a physical device. You can plan your routes from a smartphone. You don’t need to worry about traffic and weather conditions when planning routes. 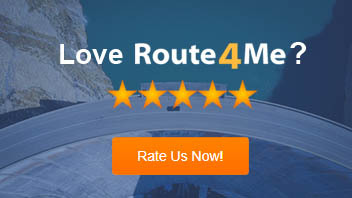 The route scheduling software automatically calculates and considers all such constraints. It then provides you with an optimized route, with a few providers that take into account traffic and under constructions roads. Your driver just needs to install the app on their phones to access route details. And, changes made to routes will automatically get synced with the drivers’ mobile phones. Has a broken down vehicle somewhere. This will in turn help you take corrective measures and inform clients of possible delays. You can even provide them with accurate ETAs, if they ask for one. A big disadvantage of manual planning is that the drivers must carry paper forms. They need to get these forms signed as proof of the deliveries. They also need to keep track of the forms to ensure that they don’t get lost. Furthermore, buying a Signature Capturing Device is very expensive. But, all this gets nullified with mobile enabled vehicle route planning software. Your employees can take pictures of the completed work with their smartphones. They can then upload the image to the server. They can also collect eSignatures from clients. The clients simply write their names, with their fingertips, on the driver’s smartphone screen!! All this without needing substantial capital up front to buy outdated hardware. Moreover, you can track eSignatures from the drivers and customers. You can thus see where eSignatures or notes were made on a map. In this way, you can reduce the number of employees or sub-contractors you need. You can also eliminate client fraud with irrefutable evidence. 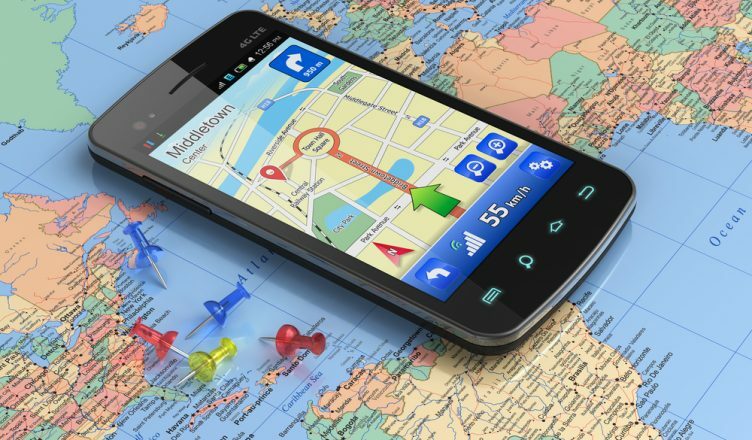 So, do you use a smartphone to operate your business or for vehicle route planning? Or, you are yet to plan for one? Do you have any questions? Please feel free to share your experience and leave your comments below and thanks for reading!